Pour a touch of Canola oil in a non-stick frying pan and heat up. Add the asparagus spears and roast until tender-crisp. Set aside. In a bowl or a screw top container pour Dijon, vinegar and maple syrup. Slowly add the Canola oil and whisk or shake vigorously to homogenize the mixture. Adjust the seasoning. 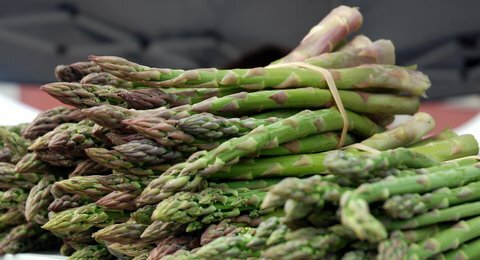 Arrange the Boston lettuce in the middle of the plate and top with 4 asparagus spears. Dress with the dressing and garnish with the tomatoes.